Pop quiz: when does the the holiday season start for retailers and other businesses? Maybe some ambitious planners take to the streets before Thanksgiving, but most are lucky to get promotions together by Black Friday, right? According to Experian Marketing Services, 49 percent of marketers planned to launch a holiday campaign before Halloween last year. 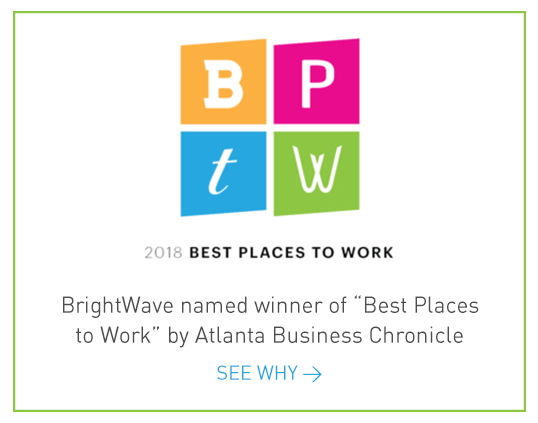 More and more companies are acknowledging that there is a tremendous opportunity in leveraging holidays like April Fools Day, St. Patrick’s Day and Halloween. 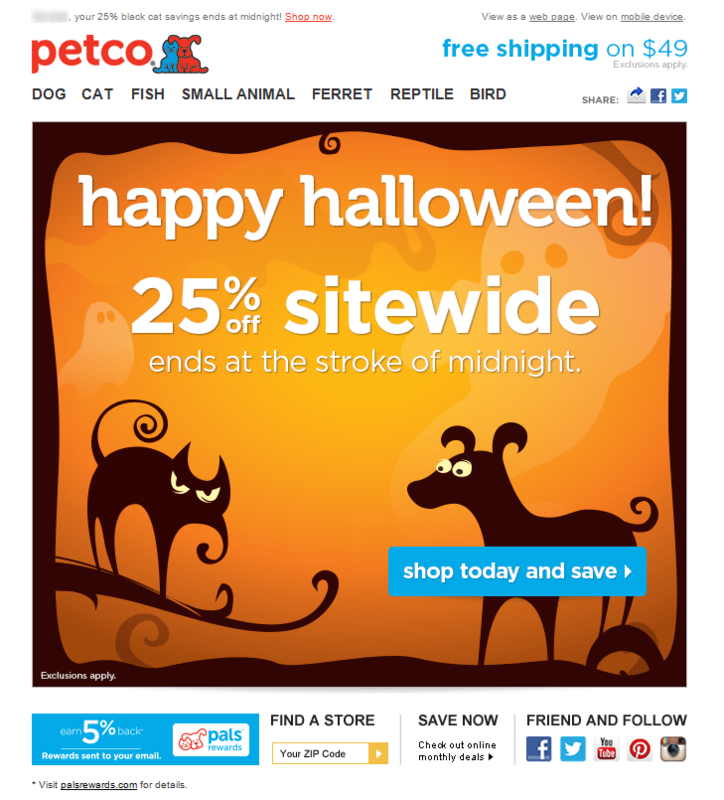 And, they’ve begun to include these holidays in their email marketing communication plans – moving beyond just focusing on the traditional holiday push that begins in late November. IdeaLaunch reported that publishing user-generated Halloween content to social channels led to 300% increases in website traffic. 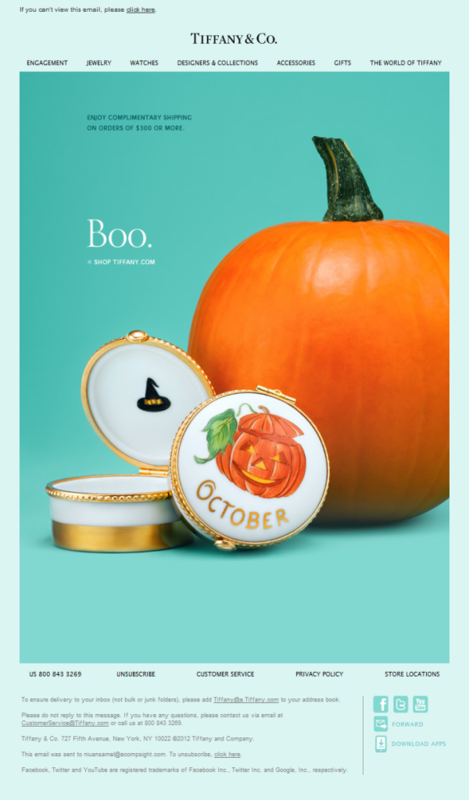 So now that you believe us, you may be asking, “My brand has nothing to do with Halloween….How can I make this work?” Below are few great examples of how you can do just that, successfully tying Halloween into your brand. REI – “Zombie outbreaks happen. 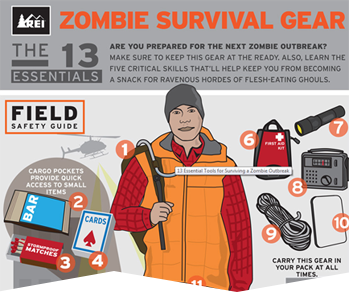 Gear up with REI to avoid getting eaten by moaning masses of undead cannibals.” The timing of this infographic along with the Zombie craze was very effective. 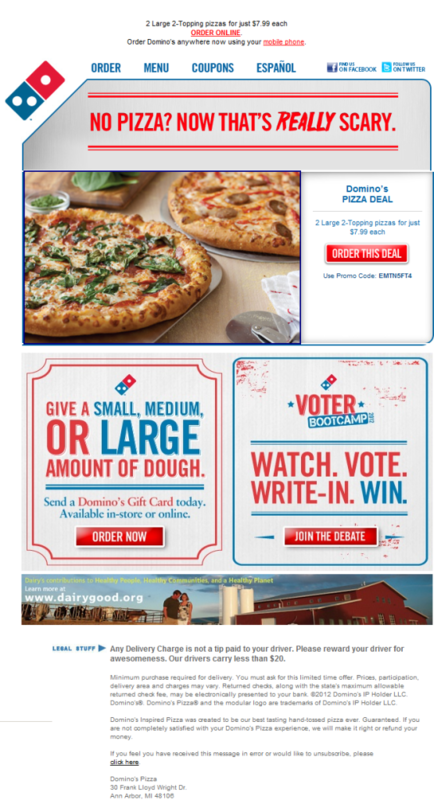 Dominos – This email had a nice play on words while still keeping the focus all on pizza. Yum! 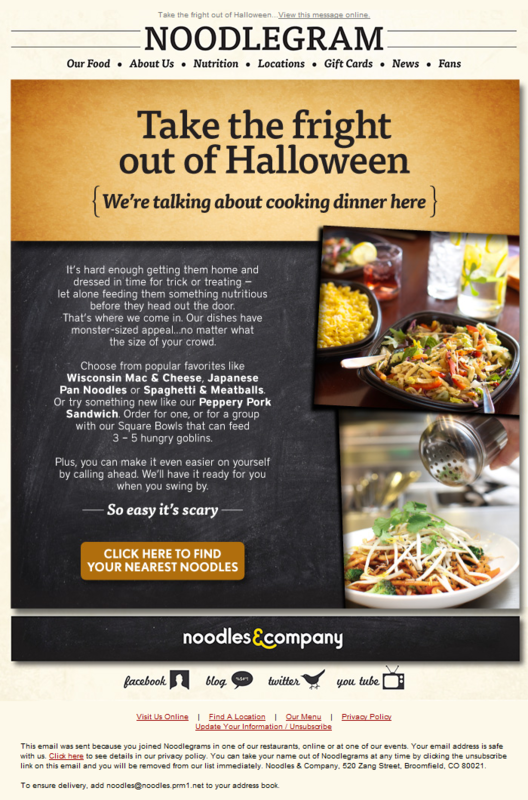 Noodlegram – The content developed for this email is very unique. They also did a wonderful job of putting themselves in their audiences shoes and clearly articulated the pain points parents can experience when it comes to feeding your family on Hallow’s Eve. 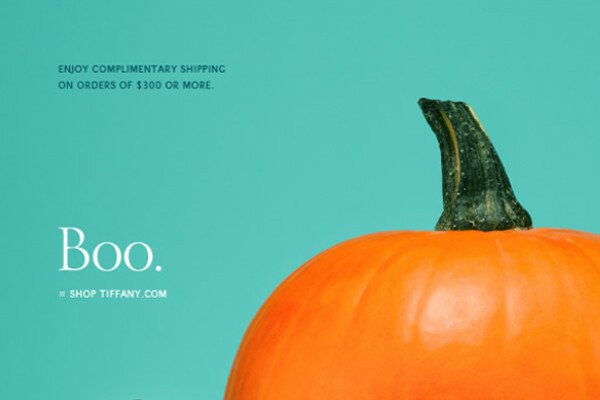 For those of you that don’t have the resources, time or budget to do something as involved as these above, a simple Halloween treat, like a sitewide promotion or product highlight, can easily do the trick (pun intended). 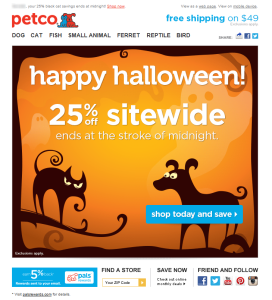 Shop spooky savings with 20% off our Halloween BOOtique! All Treats, No Tricks. Shop our Halloween Sale! Shop if you dare. Mwahaha. One more thing: Consider your timing. You might not want to necessarily send on Halloween day itself, but on the Saturday before Halloween or even earlier. That is the time when people are thinking about Halloween, according to Google Trends. In 2013, Halloween searches started as early as August.